Work for OPERA Property Management System? Learning about OPERA Property Management System? "Veteran Hotel Property Management System"
Opera has been a foundational part of many hotels' success in serving guests. Compared to other property management systems available, Opera is one of the more detail-intensive property management systems. While this can make a steep learning curve, the amount of functionality and making sense of the data is one of the best. Very rarely in the nearly 7 years of experience with Opera have I come to place where it wasn't able to do something to better serve the guest. This product is quite comprehensive in its features and sheer amount of reports. In the not too distant past, Oracle bought the Opera PMS platform. While the functionality has been improving (such as better integration with outside web platforms), the amount of bug and glitches have also grown. We recently went through an upgrade that would be great but the amount of problems it has created (on things that used to work great) has me regreting updating the system. Opera is a good solution to the modern hotel business. While small brand hotels and motels may not need such a robust solution, Opera is the standard for large operation hotels. Opera PMS is an excellent tool for taking and fulfilling hotel reservations. The amount of detail they've put into the system handles 99% of your guest concerns. I like how compact it is. You can do so many things through this software, from checking guests in, to switching things for housekeeping. It's a very versatile service. It can be somewhat clunky. It takes a while to load, at times, so when I need it for a guest and it's taking too long to load, it's a bit stressful. A lot of things aren't as straightforward as it's more recent, updated counterpart, Colleague Advantage. Whereas in Colleague, I can easily pull something up just by clicking something, through Opera, it requires a lot more steps. There are a lot of things this product can do, so definitely pay attention to the tutorials provided at training! Ask lots of questions, too. I'm still finding out things Opera is capable of. Managing housekeeping, keeping various reservations up to date, and altering guest information to avoid confusion. What Hotel Management solution do you use? Used in the hotel industry at our front desk, Opera property management is generally easy to navigate, and even featured hotkeys for those quick on the press. Basic menu options make for quick and knowledgable selection, and new hires catch on quick with their easy-to-learn features. When updating, the whole system is unusable, which made check-ins a little harder to do, having to revert back to manual front desk options, such as imprinting cards for payment, and manually keeping a log of all guest check-ins. Opera provides a sleek system that you can use to place guests on a virtual waiting list if they come for early check in, assign rooms based on details featured in a separate section of rooming list, and collect payments as well as create invoices in a matter of a few clicks. Even emailing invoices is simple. "Opera is a really solid Property Management System"
"The brain of the hotel"
This is a flexible search tool. Guest profiles can be searched in multiple ways and pretty quick. It shows some user support with quick and smart shortcut. The tool can be used by multiple positions which allowing information to be integrated and well-structured. Enormous database enabling effective and thorough history tracking. Poor design. Opera looks like an outdated 90s app. The tool shows very user-friendly interaction. Process speed is not consistent while lagging occurred occasionally. There're some glitches and errors occurring on a daily basis that makes the data entry somewhat difficult. Some familiar errors are reported several times but not fixed. There's no way to report a problem or interactive way to communicate directly from user end to the system. Opera does not integrate well with other systems such as online reservation system. All online booking has to be edited by the hotel agent to make information uniform. It runs pretty slow for check in/out process. You need alot of human resources in the reservation department to polish data to make every booking uniformed, workable. Should work closely try to intergrate different the systems. I worked with OPERA everyday as a reservation agent. This is an effective system for large scale hotel in managing a great deal of guest and booking data. As a first-time Opera user, it was really easy to figure out. There's also "Are you sure?" type messages that pop up before making a big change to a reservation that might cause issues down the road. In that aspect, it's hard to mess up someone's reservation. It's also cool how you can track virtually everything that each individual does. For instance, you can see who changed what reservation, or who checked in/out each guest. Whenever I have multiple Opera windows open, it tends to run slow and will even crash on me if I have the maximum number of windows open. Sometimes it's helpful to have so many windows open at once because I'm often doing a lot of different things at once, but not so helpful when it crashes right when I'm trying to assist a guest! Opera is incredibly easy to use and has tons of features that allow the hotel to run smoothly. You can add notes for the next shift of workers, you can pre-check in people, you can do virtually anything you want within Opera. 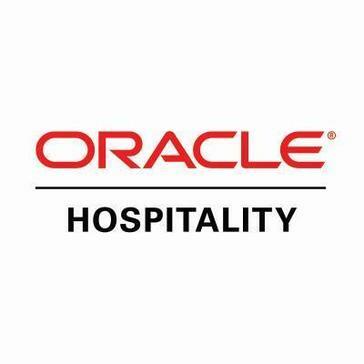 "Oracle Hospitality Management - Opera PMS"
I like the way that I am able to manage all aspects of my business through this program. I dislike that there is not much that is intuitive about this program, most of the functions require extensive training in order to utilize their functions. I have relished the benefit of having all of the compnents of front Desk management rolled into one program. I am able to handle a/r, front desk, accounting manage rooms and waits, as well as maintain files on all of my clients. "Well over 10 years in Hospitality"
Opera is by far my favorite PMS product used in over 4 properties. The functionality, ease of use and all its plugins help with the overall operations of a Hotel! The biggest downfall is Opera support... Its during the escalation process that just is way too time consuming! Overall operations of the hotel, from check in go every thing in between (including dividing the house for housekeepers) emergency reports, rolodex, cashiering all the way to check out. "Organized Software to Assist with Hotel/Vacation Ownership"
I enjoy how all of the buttons and menus for Opera are easy to understand and use. There are shortcuts to get to specific menus/windows needed. I dislike how it looks. It looks like it came straight from Windows 95, like it hasn't been updated in years. Also, I continuously have problems with it crashing while I am trying to print reports for End of Day. Clean up and modernize the look of Opera and fix crash bugs within the system. Particularly with working on files requiring Adobe Reader/Flash. Opera helps us keep our records up to date and in-sync with other Property Management Systems. All details are printable or can be made into a readable report. Opera is a pretty straight forward program, it is much simpler to use than Epitome. I like that their commands are easy, and the user friendliness of the program are great. Opera, although good, is still buggy. Our property is at least once every two months having issues with it. Every day, I would say it freezes on me at least once. In my opinion, it is still better than Epitome, but jeez. I also do not like that it only allows you four windows at one time. I sometimes need 5 or 6 and it just won't let me. We use Opera to assign all our room reservations, and to update our room rates. "Best system for hotel operations"
Ease of use for employees, simple receipts for guests. "Overall pretty straightforward, minimal issues"
I enjoyed the easy to use interface (as I am not a very computer friendly person). The downside to the operating system is the amount of times it froze up and restarted or shut down due to multiple things going on at once in the system. Overall "update" to systems front page appearance and interface. It could use a freshening up! We utilized the system for booking rooms, from hotel rooms to banquet rooms, etc. It was helpful to have one system for all different departments to have a central booking software. The software is very easy to use and has several quick key commands that help you with navigate the system smoothly. This speeds up check-in times at hotels. The software is a bit old and outdated and could use a facelift to make it more user-friendly. This helps us quickly and effectively check in guests at the hotel and also signed them up for loyalty programs with ease. "Complex system but not hard to navigate"
My coworkers and I use Opera for our job at a hotel front desk. It's my first time ever working in this type of role and using this kind of system so at first it was a lot to learn but it's actually relatively easy to navigate once you learn it. It still has an old school look to it, like a 1990s video game. Since I am new to this kind of role and this kind of system im not sure I can really answer this question. "Opera PMS System for hotel company"
Ease of use, and ability to create reports and data manually as needed. Customer service is slow to respond when we open issues. "Use daily to make and manage reservations"
Opera is extremely user friendly. It is easy to find what you're looking for and is great for people who are just learning the hospitality business. Opera runs extremely slow at times, it also drops communications often, causing reservations to become stuck in OXI and throw inventory out of balance. It allows for new agents to easily learn how to make reservations. Not really solving problems but more smooth operations then anything. When it’s working properly it’s a very good system. The system is often down for maintenance during my shift to where I can’t do anything. Everything we need for me to run my night audit shift is at my fingertips and I can access it quickly. I liked the organization, and different windows for the reservations. I dislike how it looks. The display looks really outdated. The business problems were that it would crash a lot, however the benefits is it’s universal. "Opera is the most convenient system I've ever used"
"Great reports and history record keeping"
That there are so many reports that you can pull. * We monitor all OPERA Property Management System reviews to prevent fraudulent reviews and keep review quality high. We do not post reviews by company employees or direct competitors. Validated reviews require the user to submit a screenshot of the product containing their user ID, in order to verify a user is an actual user of the product. Hi there! Are you looking to implement a solution like OPERA Property Management System?